Sitting on a forklift in a warehouse. Backstage at an event attended by thousands. Bumping along trails in a Jeep out in the wilderness. These may seem like the unlikeliest places you’d find teams using Slack, but every day we see more examples of how Slack is helping distributed teams bridge the divide between people working in a central office and team members whose jobs take them farther afield. For companies operating under this “hub and spoke” organizational layout — much like a bicycle wheel — Slack sits at the center of those operations, helping to corral everyone’s inputs so that people can share information with each other more easily, get answers to their questions faster, and nip malfunctions in the bud. 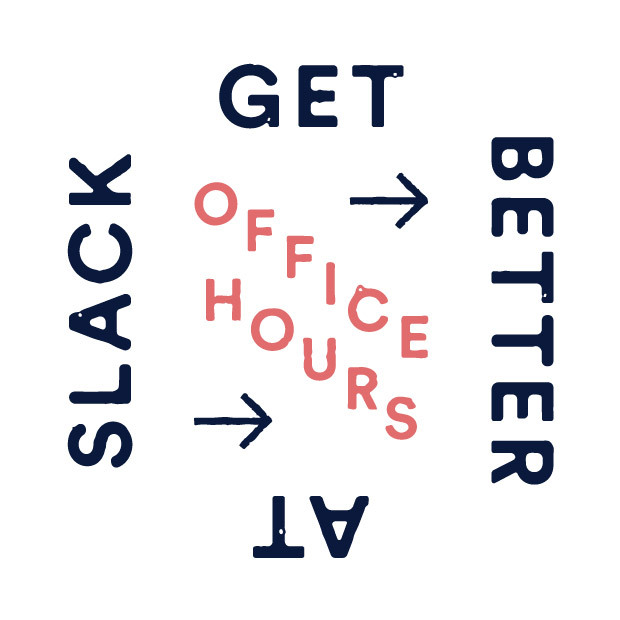 Here are some examples of how some clever customers use Slack to work with distributed teams. A core function of Slack is supporting teamwork through real-time conversations in channels, where groups of people can gather to talk, share information, and troubleshoot problems. With Slack’s mobile app, channels are accessible from virtually anywhere, allowing remote workers and distributed teams to keep in touch more frequently as well as generally stay in the loop. 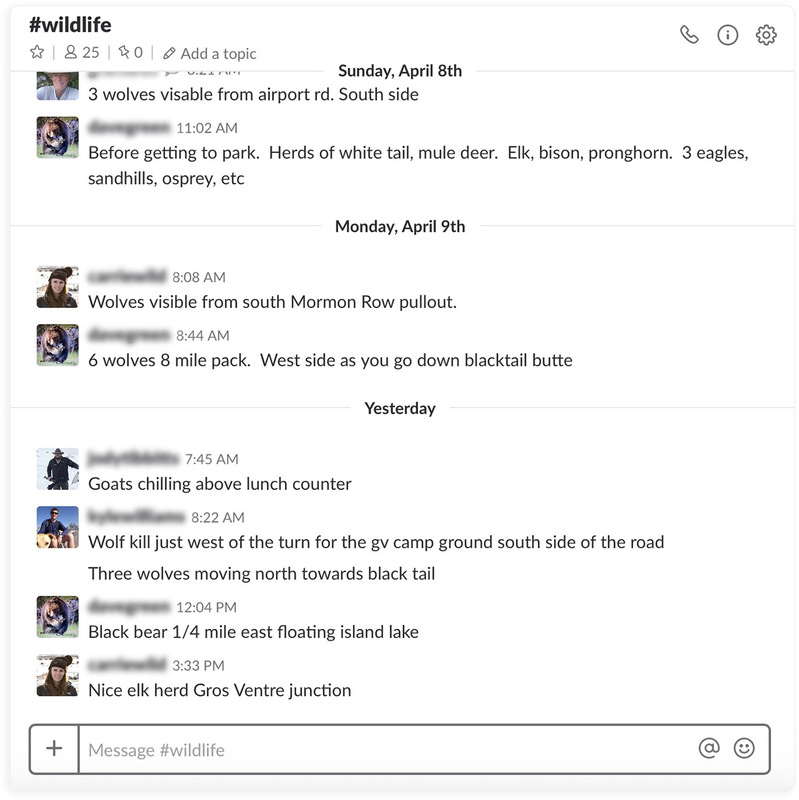 The team at Jackson Hole Wildlife Safaris — a photography tour operator in the mountains of Wyoming — needed a way to share the location of animal sightings with other tour guides, so they created a Slack channel for guides to post photos and reports. Thanks to this channel, other guides can shuttle tour groups toward these natural wonders to give customers the best experience possible. At logistics firm Amplifier in Austin, Texas, anyone in its head office taking big orders from customers can send a message in Slack to warehouse workers, who can double-check inventory before confirming a delivery date. For distributed teams at the frozen-foods company Capello’s, their main office stays in steady contact with both the kitchen crew working on new recipes as well as operations teams who go out and procure ingredients from local farmers. And at humanitarian organization Mercy Corps, distributed teams are charged with rebuilding infrastructure and training people to help bring stability to volatile regions. They’re often tasked with documenting construction projects for local governments in meticulous detail, and they rely heavily on reports and photos from the field, all captured by their remote workforce using Slack’s mobile apps. Fleet-management companies like Automile have even built their own custom Slack integration: a tracker that lets businesses know at a glance where every vehicle in their fleet is located. The integration sends automatic alerts to a Slack channel when a company vehicle is speeding, enters or leaves a location, or experiences engine trouble. At Wickstrom Dairy in Hilmar, California, equipment repairs are a fact of farm life. Their team have set up an integration that alerts team members in a Slack channel when machinery grinds to a halt in the middle of the night. Before, everyone would get a text-based alert, but to avoid waking others, people would avoid responding, which meant multiple people would show up to look into things. Now they have Slack set up so that a person can “claim” an alert from a Slack notification, easily signaling who’s responding and letting everyone else have their rest. It’s a similar story at Washington, D.C.-based restaurant chain Chaia, where staff members report equipment breakdowns in a channel. Any channel member can easily see the history of past repairs and work orders shared so that managers can track service history and know when machinery was last inspected. The theater company SpiderWebShow has created some breakthrough live performances using actors in three different theaters across Canada. To accomplish this feat of logistics, it turned to Slack, where the cues for each performance location are announced in a channel, and each group acknowledges they’re ready to begin through specific emoji reactions. An easy way to replicate alert systems in your own company is to create a #red-alerts public channel and have everyone on your team customize their notifications to give the highest priority to that channel. The channel can serve as a repository for emergency-level requests and critical needs. You might also want to consider adding apps and integrations that pull automated updates from different tools and services into channels where your team is working. Imagine if your whole team could know instantly when the water was shut off, when a company van was taken off the lot, or when the final shipment for the day had gone out. The simple thread running through these customer stories is this: Slack shortens the distance between distributed workers and their main office. Even when everyone isn’t in the same location, it’s entirely possible to keep everyone on the same page. Encourage employees in the field to download Slack on their mobile devices so they can be equal contributors to the team, even when they’re out and about. Create a channel for high-priority alerts that everyone can see, share, and claim when necessary. Bonus tip: Post repair histories, receipts, manuals, and contact information to the channel, and then pin the message to make it easier for team members to tackle issues when they arise. Consider connecting your Slack workspace to apps and integrations that your team uses regularly, so everyone can be clued in to what’s happening.